Are your users leaving your site after reading the first post? Increasing pageviews and reducing bounce rate is a big challenge for site owners. Showing users related content has proven to be an effective way of getting more pageviews. You can easily show related posts on your WordPress site using a plugin. In this article, we will show you some of the best related posts plugins for WordPress. Yet Another Related Posts Plugin aka YARPP is one of the most popular WordPress related posts plugin with more than 3.4 million downloads. It supports both thumbnail and text display of related posts. YARPP uses a built-in algorithm to find related posts. It has a great template system, allows for thumbnails / text display, supports custom post types, and RSS feed display. If you are running a very large site, then YARPP can be very resource intensive. The pro version of the plugin solves this problem by performing heavy-lifting on YARPP’s own servers. YARPP is not compatible with WPML plugin. If you are going to create a multi-lingual WordPress site, then you should choose Polylang. Lastly, YARRP is blocked on managed WordPress hosting providers like WPEngine. Contextual Related Posts is another WordPress plugin to display related posts. It tries to improve relevancy by contextually matching posts. It can display related posts as thumbnails and text. For text only related posts, it works out of the box and has a simpler settings page. It tries to use images inside a post as thumbnail when no featured image or post thumbnail is found. The plugin does not come with any template to display thumbnails. Instead it just displays thumbnail images in a bulleted list. Users can add their own CSS to style it, but beginner level users may find it difficult. Just like YARPP, this plugin also does not scale well on larger sites. Managed WordPress Hosts like WPEngine has blocked this plugin to be used by their customers because on larger sites it will slow down your site. 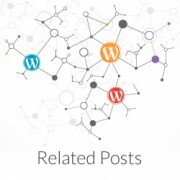 Related Posts for WordPress plugin is a lightweight alternate to more popular related posts plugins. It performs all the resource intensive tasks in the admin area and uses cache to display related posts. Related Posts for WordPress focuses on performance. It is faster and does not slow down your website. It supports thumbnail and textual display of related posts list. There is a widget and shortcode which you can use anywhere to display related posts. If you had been using other related posts plugin, then you might miss a few extra features. Another good free related posts plugin is Yuzo Related Posts. It has a comprehensive set of features that you can expect from a related posts plugin. Thumbnail views, horizontal views with thumbnails, list views, built-in cache, etc. It is extremely easy to use and setup. Users can select style by just clicking on it. Caching makes the performance better than YARPP and Contextual Related Posts. It has a highly customizable widget with lots of options. It is inevitable not to compromise on speed when you are offering this many features. It is fast, but it is not lightweight. Inline Related Posts is different than other plugins in this list. Instead of showing related posts below content, this plugin shows them inside your articles. This kind of inline display of related content is quite popular on news and blog sites. Displays related posts when users are more engaged in the content and are more likely to click. It has easy setup and allows you to control where you want to display inline related post links in your content. If you want to display related posts at the end of each post, then you will need to install another plugin. Two related posts plugins on one site can be very resource intensive. You may have noticed that we have repeatedly mentioned that related posts plugin can be resource intensive. It is possible that some of these plugins may not work well on a shared WordPress hosting. In that case, you can use Manual Related Posts plugin. This plugin allows you to manually add related posts to a post. The link relationship work both ways, so if you add an old post as related post to a new one, then the old post will also display the new post as related. Another option is to manually display related posts with thumbnails without using plugins. We hope that this article helped you find the best related posts plugin for your WordPress website. Check out this guide for more tips on how to increase pageviews and reduce bounce rate in WordPress. You better update your list. Yuzo related posts plug-in causes redirecting problems and it has been abandoned by the owner. Thank you for letting us know, it appears the plugin author is working on fixing the problem. Nice collection of plugins. I was looking for this. I am using YARPP, its just awesome. Hi there, thank you for your post. Actually, I am using a theme which there is a portfolio section. And I’ve created a custom post type as a blog. Now I am trying related both and I wonder if that’s possible to do and if has a plugin could do that? The idea is write posts and matches that into the pages. Hi, I have a video blog (no text at all) and I want my related posts plugin to show a thumbnail that it the video or video thumbnail. I can’t use featured images because that just ads a huge image above the video and is confusing. Do you know any plugins that have this feature? Thanks! I must commend you on your website. This is one of my go-to websites for tutorials. Lots of great content and so informative. You provide lots of options for each tutorial and I love that! It always works. Thanks. Please mention, which plugins work with bbpress, and which don’t I tried using YARPP. It does not work with bbpress. We don’t test plugins for compatibility with bbPress. You can report the conflict to authors of both plugins. can you somehow add related pages/posts to pages?? Hello Thanks for these helpful Plugins. I need a Plugin to show related Posts at the above of Post Page. Would you please tell me any plugin for this? Inline related posts worked for me thanks Syed. Related post for wordpress is great and i will implement this on my website soon. What about Related Posts by Jetpack? Thanks. I see what am searching for. I mean something like the ‘inline related posts’ that show your post inside articles. These are all great plugins, however, as noted in the article, they are all data intensive. in fact, some hosting environments (WP Engine) will not even allow a lot of these plugins. The “Manual Related Posts” plugin looks interesting. It’s also possible to code a “Related Posts” function without using a plugin. This technique uses tags to relate posts to eachother. Don’t really know that something of this stuff exists. I’m using the default one , which I think is not good enough for my site. I will lay my hands on some of this plugin. Personally, I like Shareaholic for my blog. I guess JetPack is quite good enough for most bloggers. Just wanted to update that since this post, Contextual Related comes with an inbuilt style to display the posts as users want. Additionally an aggressive cache makes the plugin super fast after the first load. Lastly, you can also specify any manual posts for users who prefer the additional finer control. You should consider Related Post for WordPress plugin in this list. I found it light and nice. And related post from jetpack is great too. I’ve used and loved nRelate, but am still searching for a conquerable replacement now that nRelate is no longer. Found out, nRelate just discontinued their service! Sad indeed. I hate to be one of those people that just says “Great post!” … but this really was exactly what I was looking for today! Love the pro/con approach. Thanks! I think Outbrain is best. Outbrain is crooks they show 6 outbound links which is actually more links than your site. So actually you are doing a free service for them to send your traffic to it. There are better plugins than outbrain crook crap. I just want to say that YARPP does not deserve to be No1 related post plugin for wordpress. I don’t know which one to choose but, after whole day struggling with YARPP (all basic stuff) I decided to give nRelated a chance and take a guess, all works without my interfering at all. I have installed plugin, and wait for about 5 minutes nRelated to reindex my site 1k+ posts. I check his functions and style and I saw that it is much more ‘user ready’ plugin than YARPP. That is my opinion and I wanted to share it with you guys. Yet Another Related Posts Plugin is the best. Thanks! I’ve one question. plz, tell me, what’s the plagin at your comments? See our blueprint for the list of plugins and tools we use on WPBeginner. But i can’t find any plugin related to “related post plugin on your plugin blueprint page and you have related post features after your article. so what plugin do you use for related post on your site? such a nice list thank you i use Yet Another Related Posts Plugin. Is there any plugin which can fetch posts from another similar websites on the basis of minimum 5 comments on them? For e.g. I have technology blog then plugin search technology blogs from internet and give result of that posts which have more than five comments and post author comment. As a user, seeing a related post after reading an article indeed encourages me to read on about something, but only if that something is interesting enough. But anyway, thanks a bunch for this list of plugins that will take care of the technical aspects of relating posts. Thanks for this list! I’m trying to decide between YARPP and nRelate. For YARPP, you mentioned the site size issue, but what do you consider to be a “large” site? And for nRelate, does it have a template system too? I’ve installed and played with Contextual Related Posts, but as I AM a beginner user, I am having trouble getting the thumbnails to look good. YARPP – if you have a few hundred posts on a shared hosting account, and you are getting 1000+ visitors a day then your host will probably shut you down. nRelate can be styled by targeting CSS classes, and its definitely more scalable. Great list, already using the 1st one though. Using YARPP is really great, and with 2.4 million downloads the author’s will be encouraged to update and upgrade it forever. User engagement at it’s best. Good post btw wpbeginner. So which one of these is your favourite? My choice is nRelate Related Content. It proves to be very reliable in work and fast with accurate related content to articles… and free too. Thumbs up! Thank you for featuring Contextual Related Posts in your list above. We use Disqus as a commenting system that also provides a similar posts functionality in one of our client websites. Works like charm. I wish we can use Disqus’ similar posts system and Jetpack’s commenting system. Thank you for another great list! Which one are you using here? We’re using a manual solution. please how can you help or assist me with this manual solution, can you assist me with the code so i can edit for my site?